Hey babes! If you’ve followed me for a minute, you’ve prob come to find I LOVE to entertain. 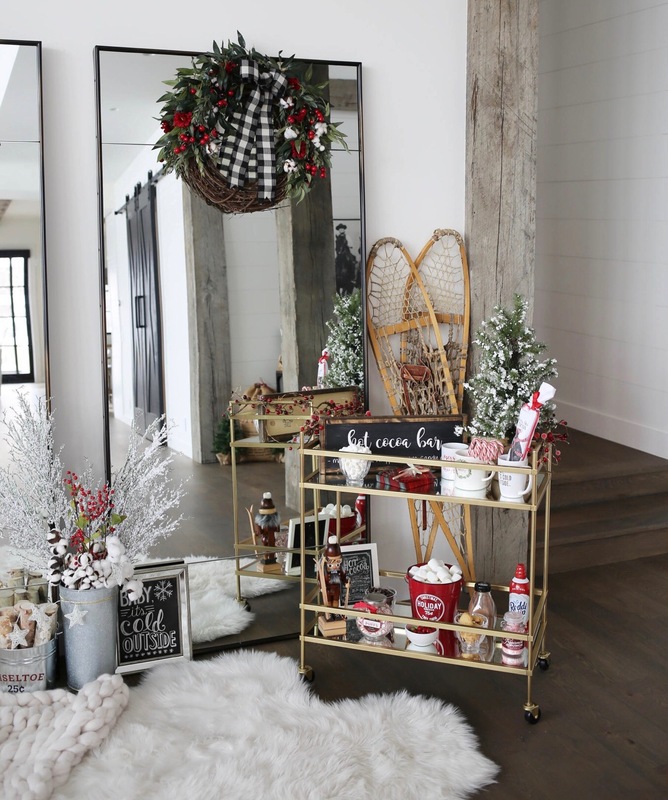 One of my most favorite things to do is come up with festive ideas for guests to enjoy during different parts of the year. 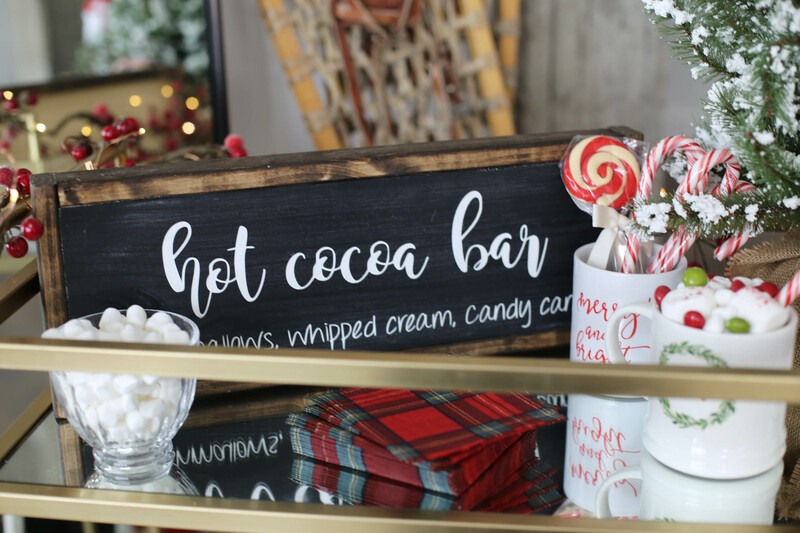 Since it’s winter and currently the holiday season, what’s better than a HOT COCOA bar setup?! Many of you asked about items being left out – i.e. 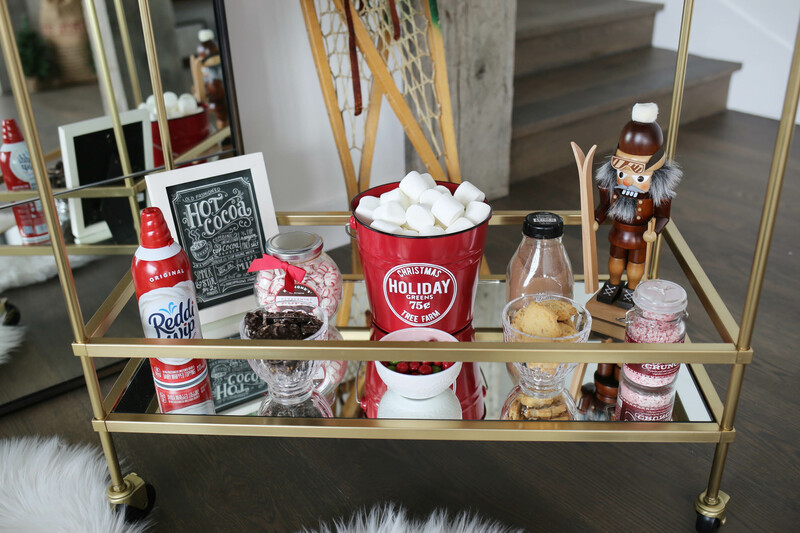 marshmallows, cookies, etc. I suggest putting away these types of sweets and/or keeping them in air tight glass containers when you are not using your bar. 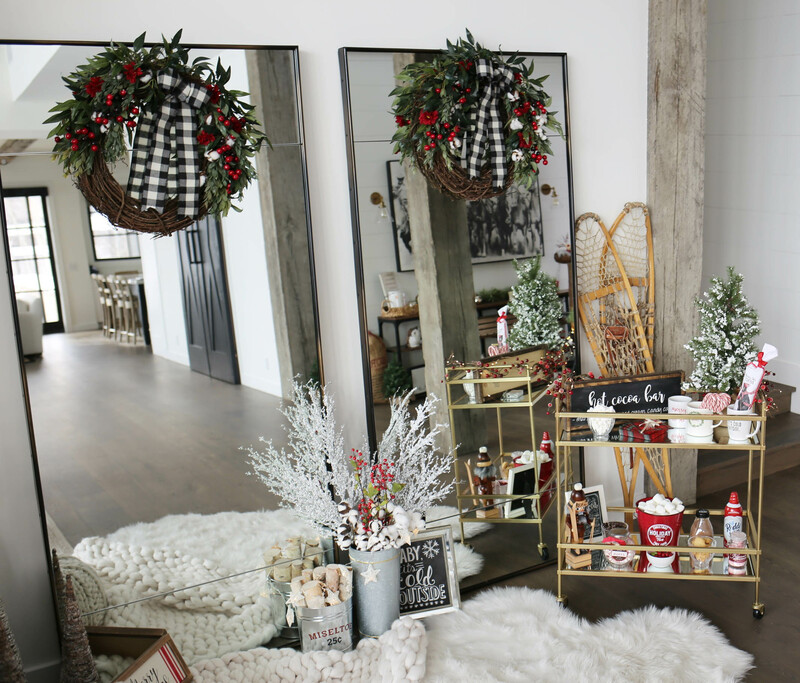 I keep mine setup for the month of December, but you could also whip one together for a holiday party, girls night or for your kiddos. 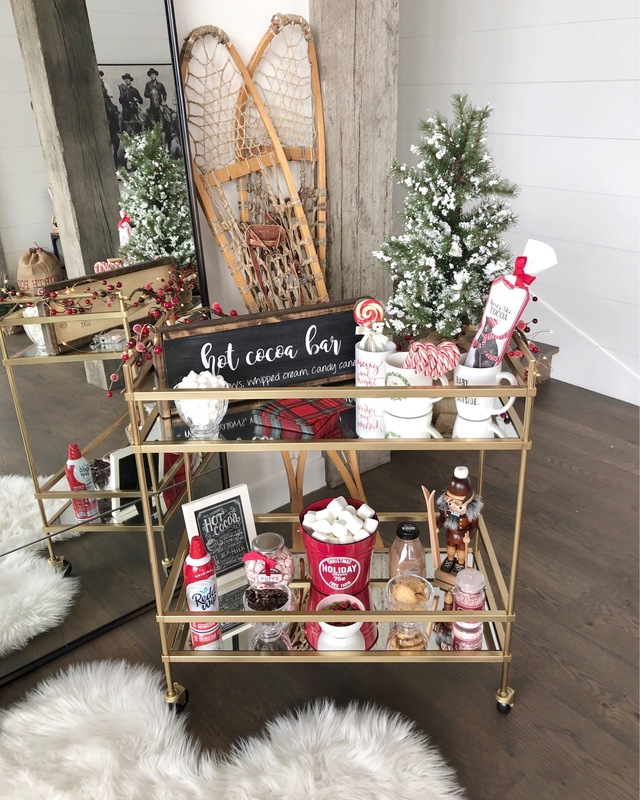 Please note, you don’t need a dedicated cart to create your own bar. 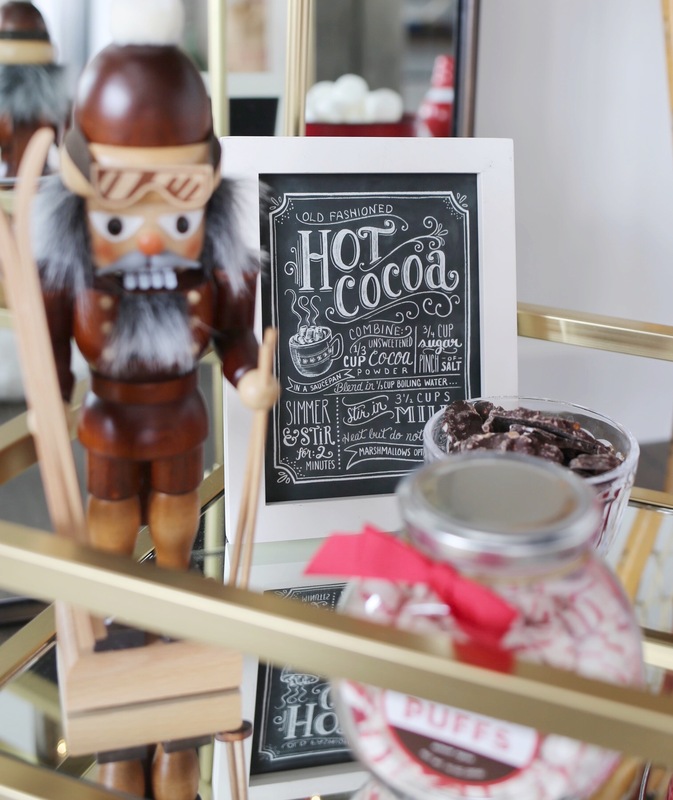 Utilize space you already have in your home like a spot on your kitchen counter. 1. 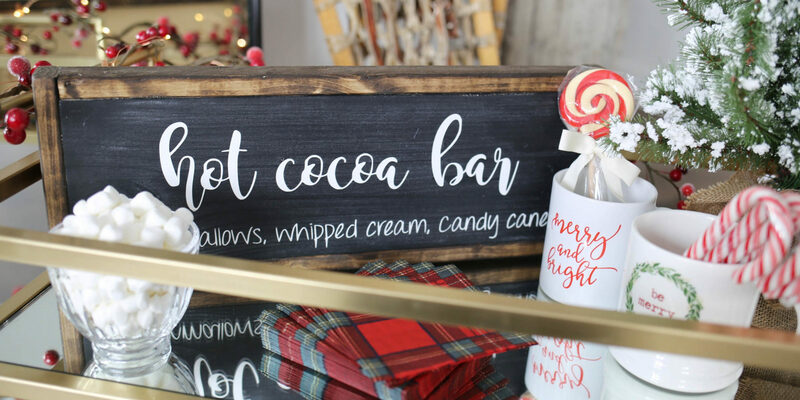 Wood Sign – my “hot cocoa bar” beauty is a few years old, but I’m loving this similar option! 2. 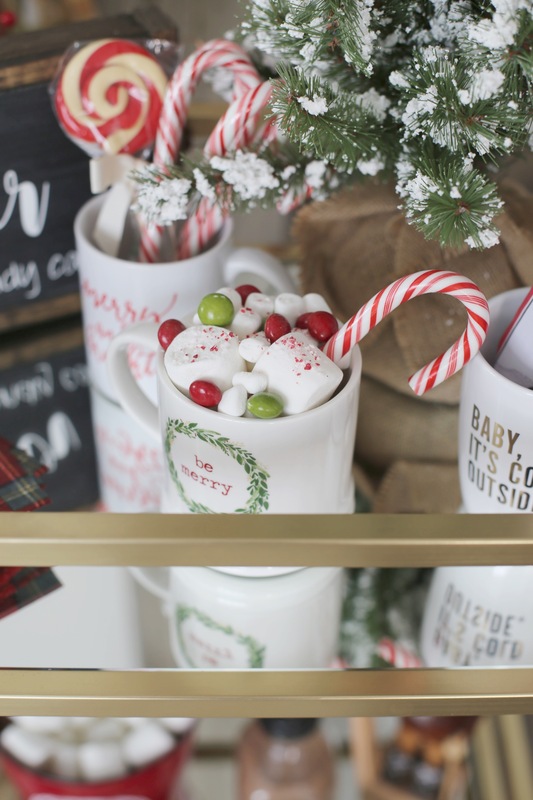 Festive Mugs – love these two: “Merry & Bright” and “Be Merry“. 3. Cocktail Napkins – I found these festive plaid babies the other day! 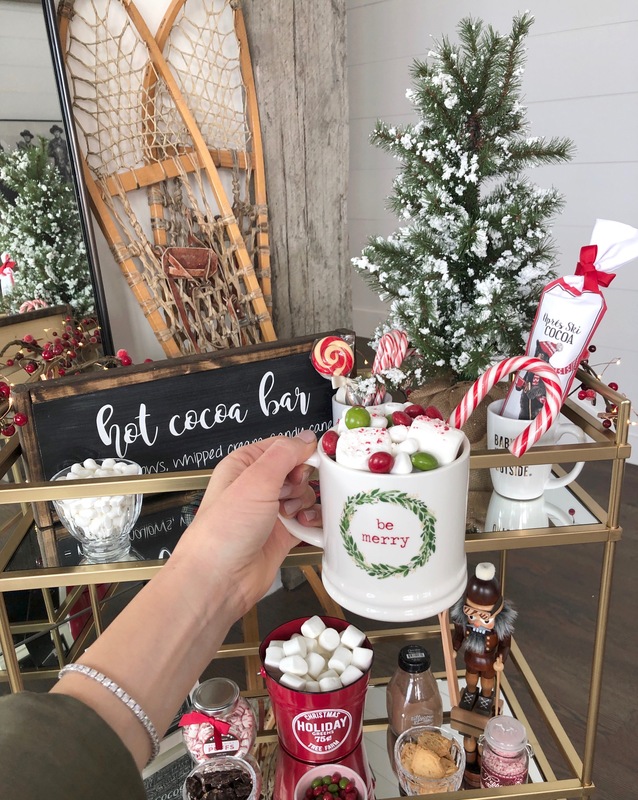 Happy hot cocoa-ing, y’all!! 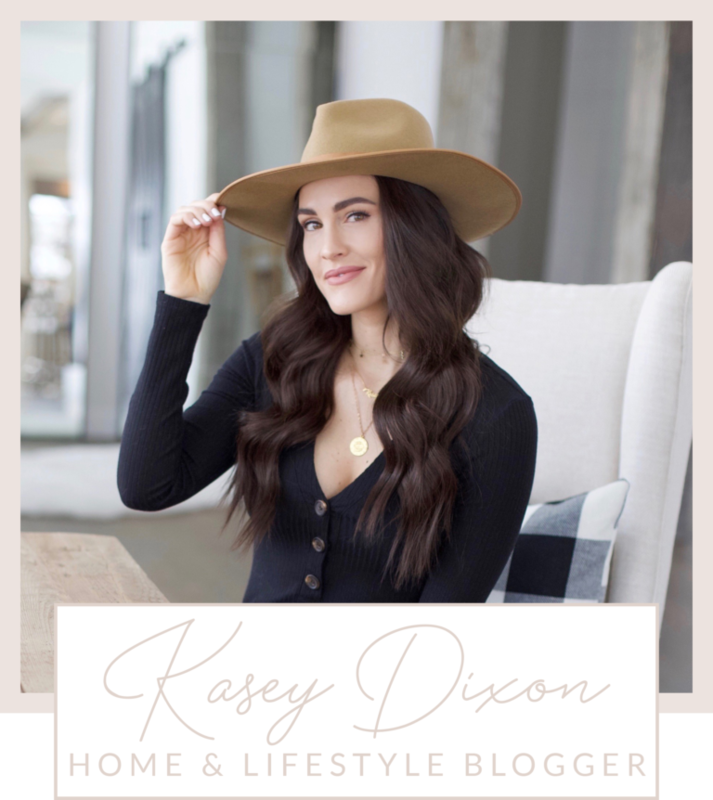 See below for all of the decor goodies I used to create my space. 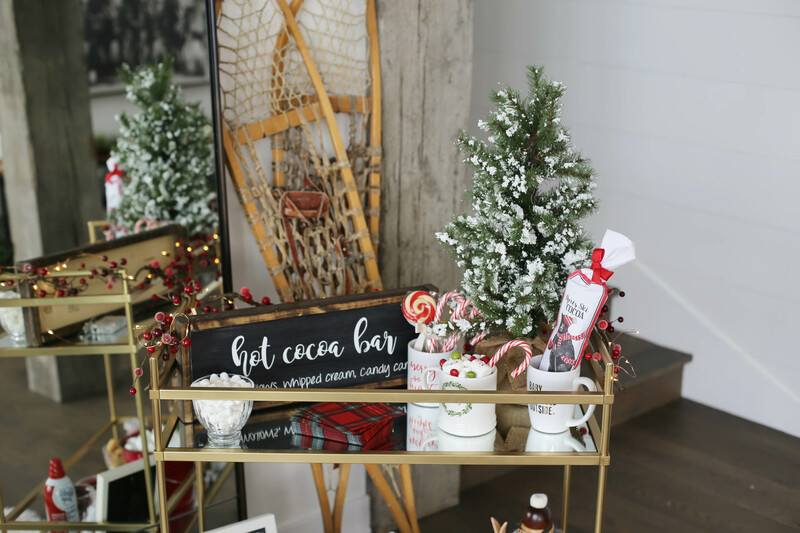 Share the post "Hot Cocoa Bar"